Finally, the long awaited ebook on how to MC is here! 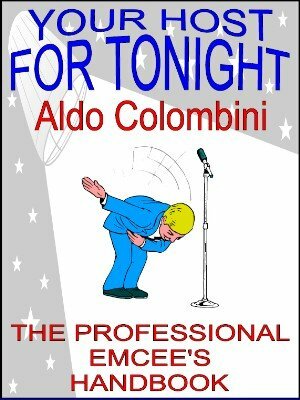 This is the professional MC’s handbook that teaches you how to be the perfect host for your show. It includes tips, funny bits of business and invaluable information. 30 years of experience all over the world condensed in dozens of pages full of advice. The importance of rehearsal, how to perfectly introduce the acts, know the acts, handle the end of the acts, how to manage... stage managers, sound and lights, don’t get trapped in the curtain, openings, stage standing ovations, intermissions, closing, curtain calls, life-saver lines, tricks and gags, comedy, you name it....it’s here! 1st edition 2010; 22 pages.